I have recently done some dialog work and I thought I would note down a dialog example whilst I could remember it. If you thought workflows are quite quirky then dialog’s are like that except ten times more quirky and in some ways they are so unlike other things in CRM, in terms of how they work that you will be left scratching your head as to what you should be doing. Hopefully this blog post will help you get to grips with dialog’s. I will simply things in this blog because most of it you will be able to understand if you done some workflows (and everyone has done some workflows) so it’s really the dialog specific stuff we need to focus on here. Prompt and response is where you present the user a prompt/question and you can decide how they respond e.g. You can have multiple prompt and responses on a page. One thing which is different in Dialog’s is Query CRM Data and it is quite an unusual piece of functionality. In this simple dialog I will create a dialog which updates case records associated with an account record. Which brings me onto another difference between workflows and dialog’s. Dialog’s can only be triggered on one record, if you select more than one record the dialog button is hidden. Unlike workflows which you can run on multiple selected records. QueryCRM which returns a list of cases with the account reference equal to the account record where the dialog was triggered. 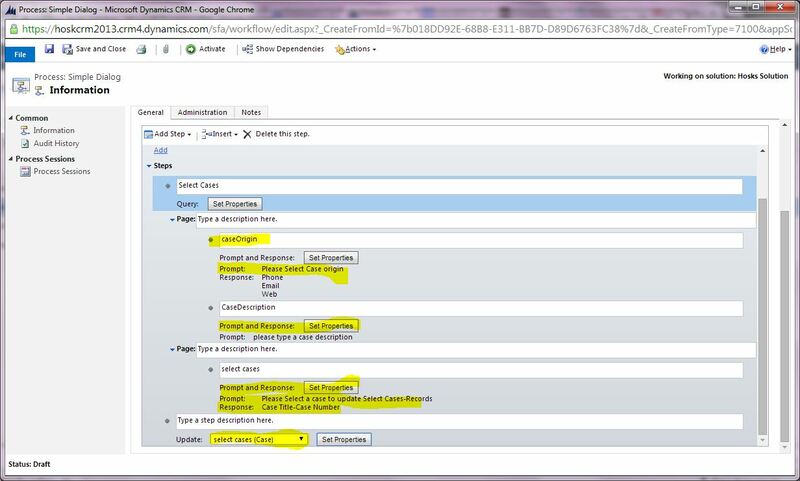 The screen shot below shows the CRM query. Notice you have to select an account in the query and then go to the modify query variables, select the account and copy over the variable for account. Below is a screen shot of the prompt and response for the Case Origin. You have to recreate the labels and the values in the dialog choices. 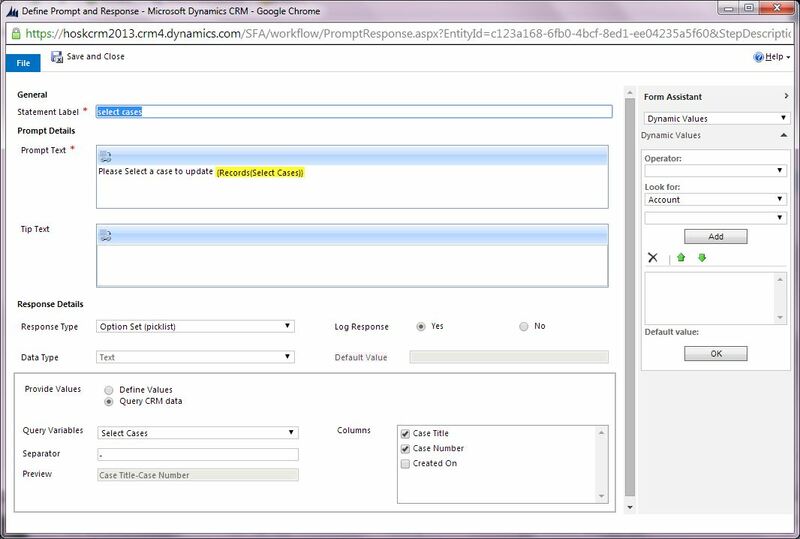 below is the dialog showing using the values collect from the Query CRM. You put the records(select cases) in the prompt and then you can show the query records in an optionset which the user can select one a case associated with the account from. Finally I use the selected case and update the origin and description fields with responses collected earlier. 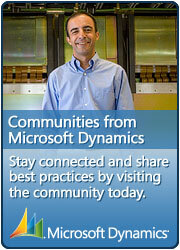 So there you go there is a simple CRM 2013 plugin using some of the core dialog functionality. Dialog’s offer a very useful tool in CRM and they work pretty well but they take some getting use to and there are definitely a few tricks you have to learn. My view on automation is if something can be automated it should be automated. Developer Viewpoint — What is DevOps and when should you use it? Does enterprise scale Dynamics require multiple instances?